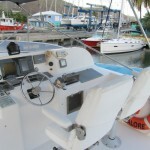 Diesel Fuel : 422 gal. 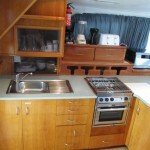 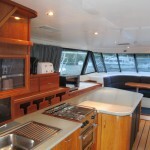 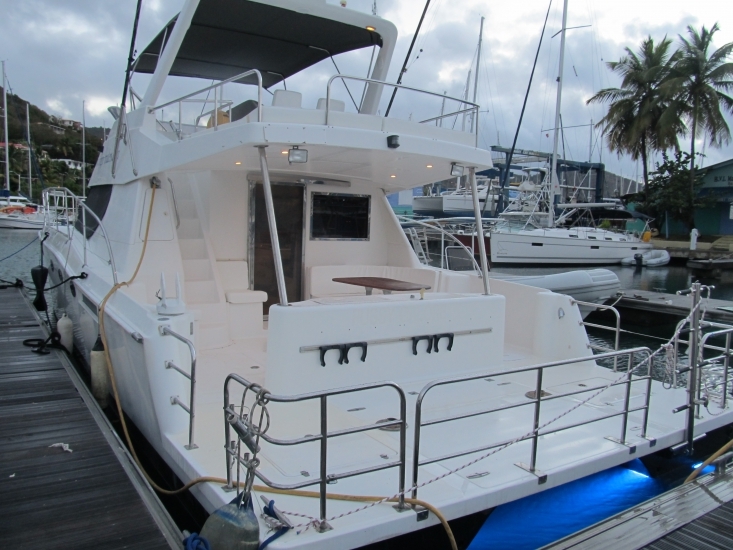 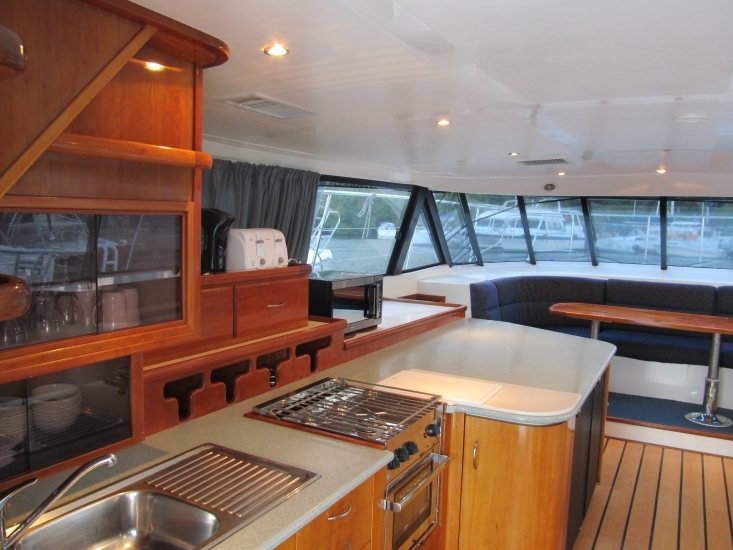 This superb and fun 52′ Power Catamaran has been specifically adapted for Charter with the close cooperation of the design team in New Zealand, and us at Virgin Traders. 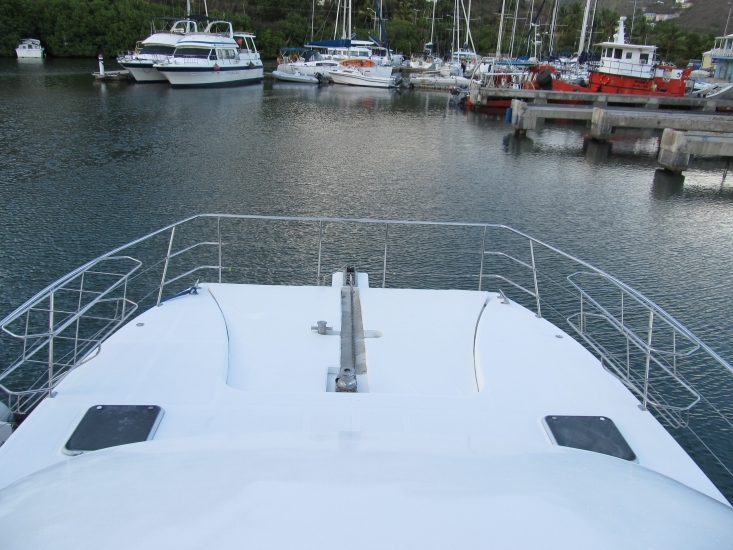 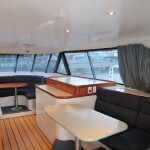 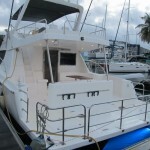 On boarding this excitingly streamlined Cat, you will immediately be impressed by the generously sized Aft Cockpit and the huge walk-about Swimplatform. 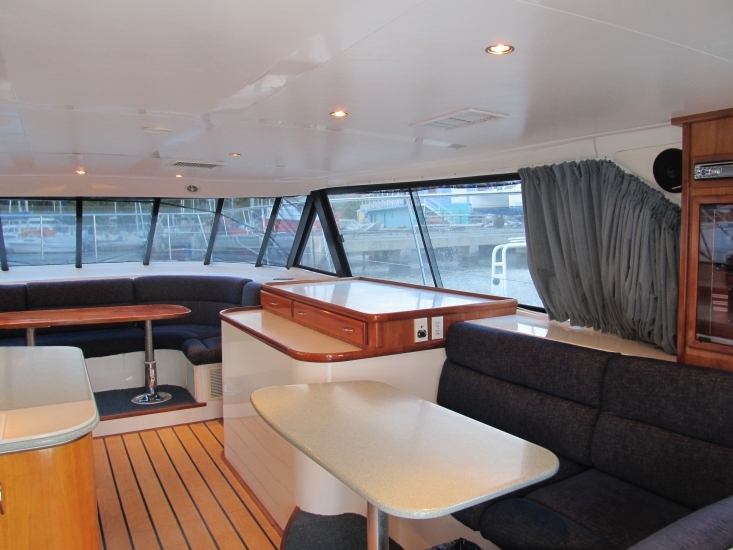 The open Salon has wrap around panoramic views, which adds to the feeling of space and light and allows you to enjoy great ocean views from any angle. 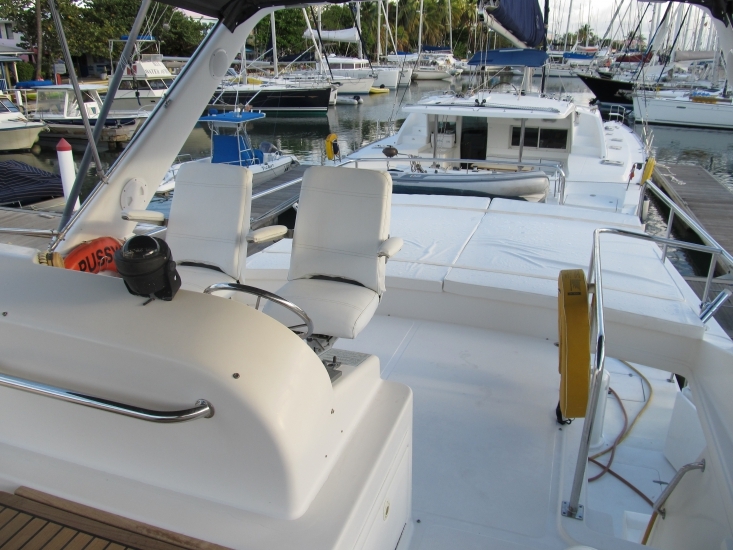 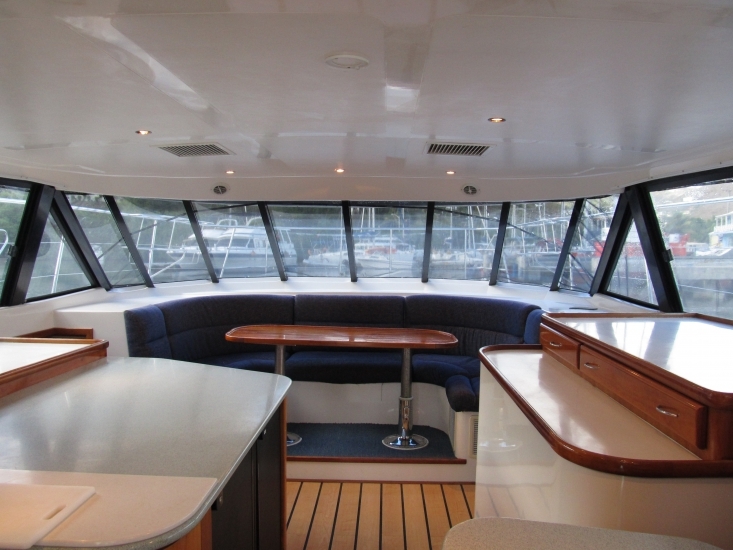 The Flybridge has seating for everyone in your group under the Bimini, with great visibility all round. 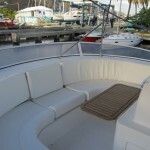 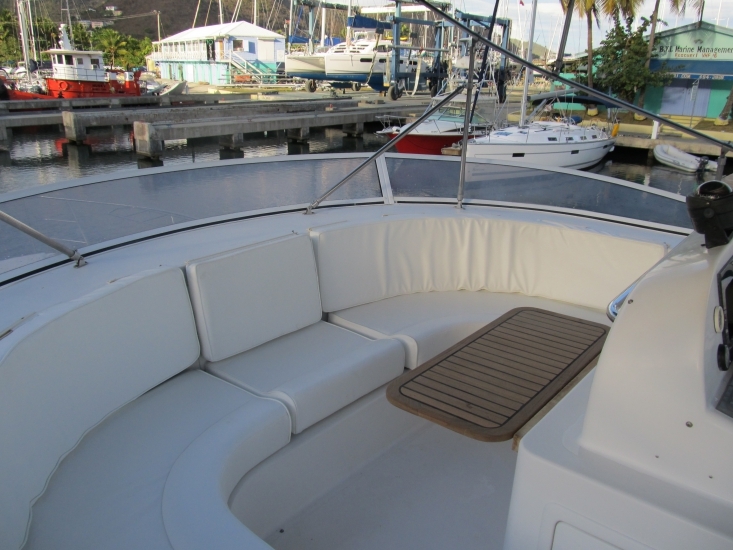 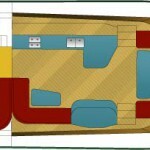 There is an enormous sunpad on the aft of the flybridge where you can relax the day away in the Caribbean sun. 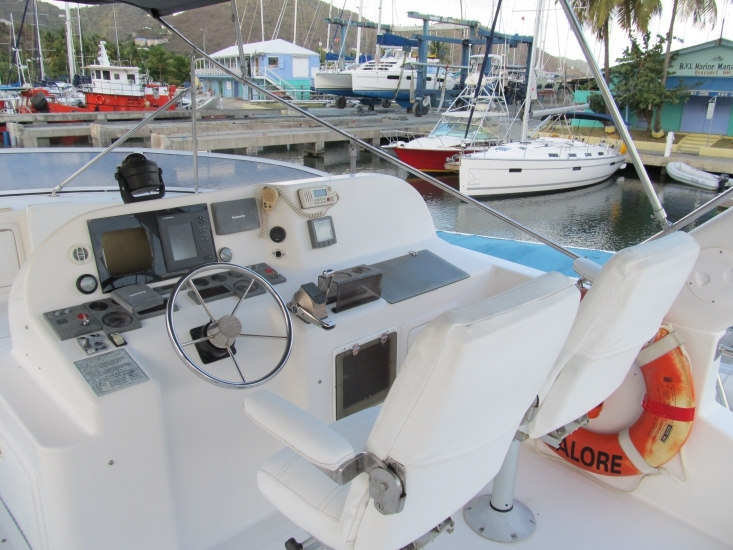 This cat is very easy to handle, with her widely spaced twin props, you can turn her on a dime and windage is less than a standard monohull. 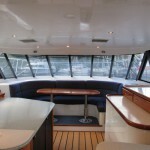 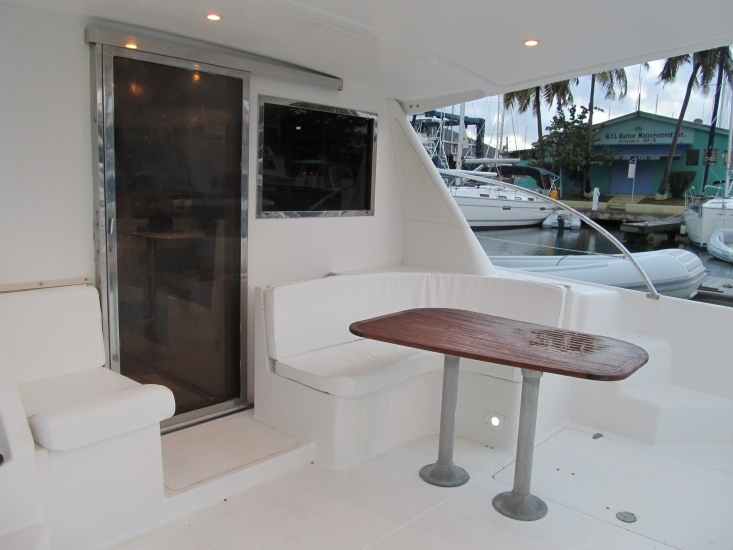 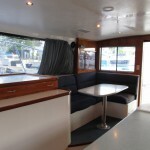 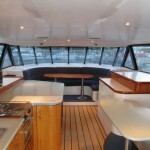 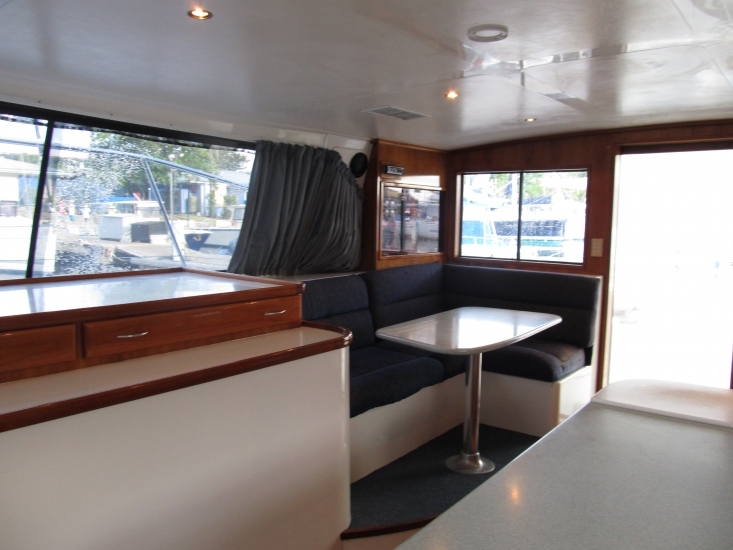 In the aft cockpit area you will find ample seating, wet bar, freshwater shower, barbecue, but above all…..space. 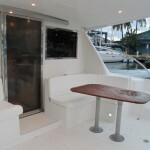 The swim platform is huge! 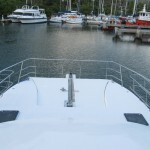 This cat lends itself to a range of activities in a way that no other cats in this size range can match. 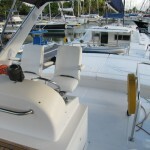 Whether you want to dive, snorkel, fish, or just relax, your entire group will have plenty of space to spread out. 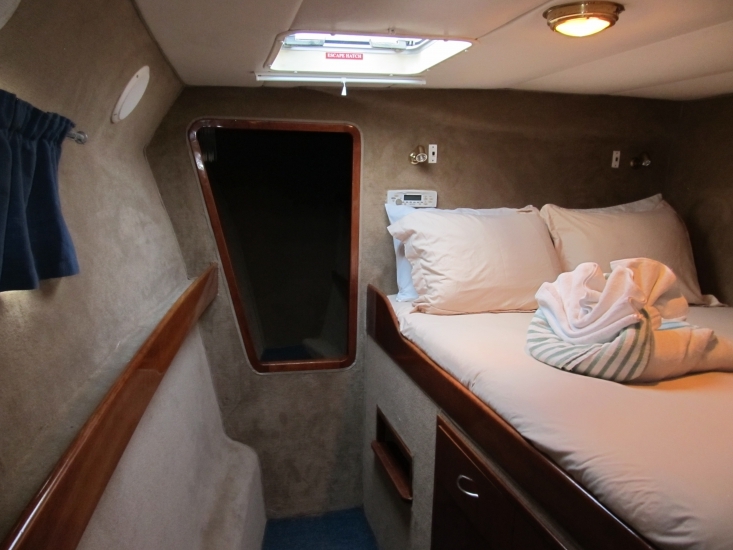 There are 2 double guest berths in each hull and the forward dining area converts into a large double bed, so these Cats sleep 10 on board. 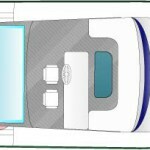 Not all the Cabins are of exactly equal size: the 2 forward cabins in each hull have Queen berths, plus a sink, vanity and mirror. 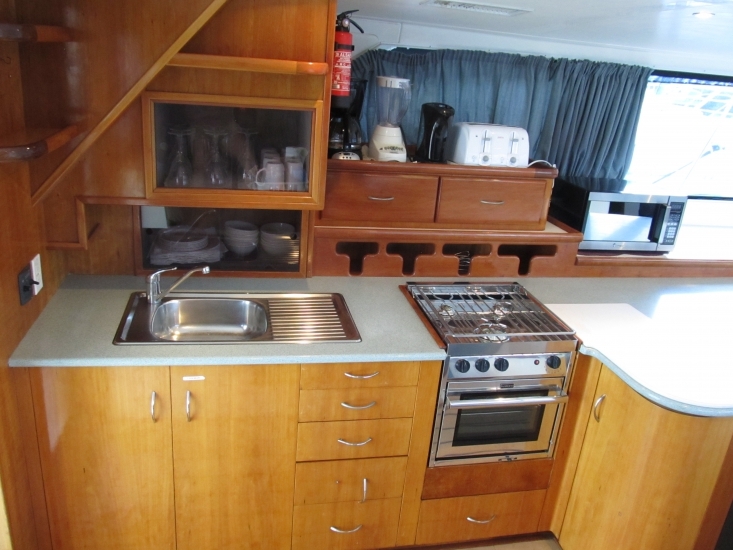 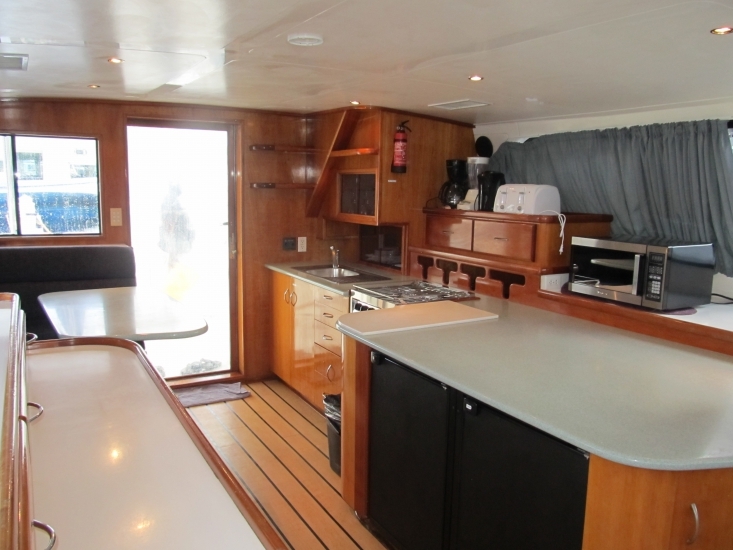 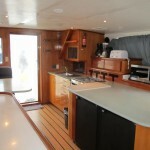 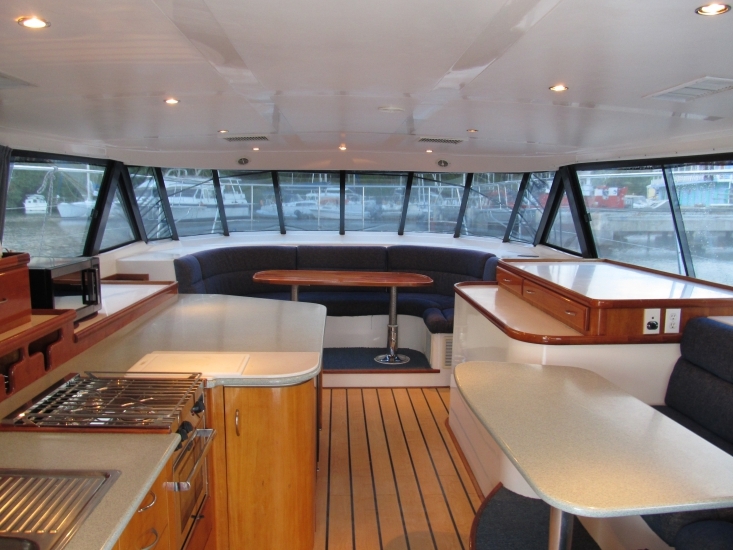 The aft starbord side Cabin has a Queen berth, whilst the Port Aft Cabin has a fold down split section to make up a Queen berth. 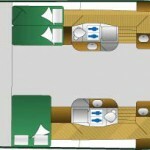 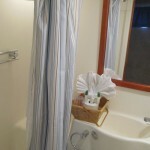 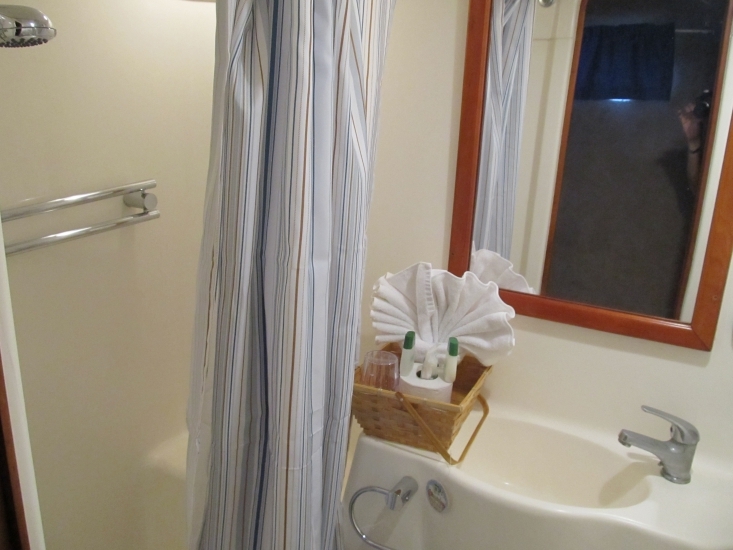 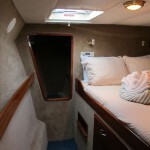 There are two full heads, with separate showers, one in each of the hulls located in-between the cabins.